As I said in my previous post, I recently decided to migrate my blog to something new and different. Even if Gost is still at the beginning of the dev, it already has all necessary basic functionalities for a blog platform. I want to share with you a Step-By-Step guide for migration (supposing you have already installed the Ghost platform). Ghost does not actually have an integrated comment system. You should use an external service. To manage comments a good service actually is Disqus, and you can import all your wordpress comments automatically. Install the Disqus plugin on your blog, configure it with your disqus account information, and click on the export button. It seems a good system, but I tested it 3 times and only exported me 3 comments to disqus and I did'nt understand why. The real problem behind this migration is that you have to edit all your posts to put the new correct address for any image... and it could be a huge work!! The service I choose, that is the one suggested by Ghost too, is Cloudinary. The reason is you have a Wordpress plugin you can use to export the whole media library, and the plugin also changes all the images links into posts! Now you are ready to migrate to your new blog. 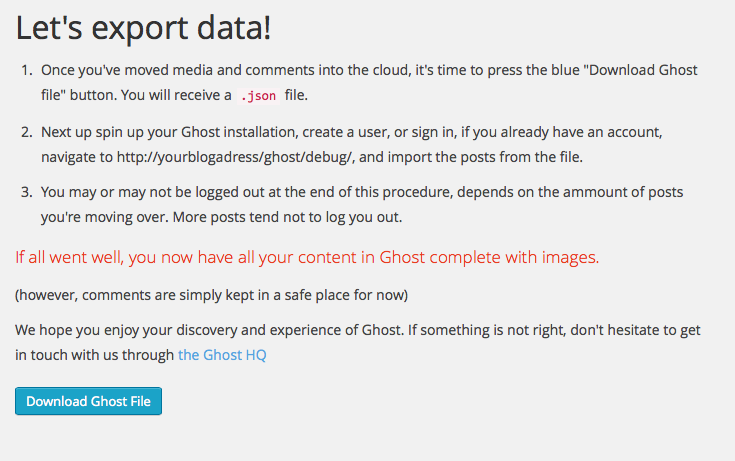 There is a plugin that export all posts in a format you can directly re-import into Ghost. 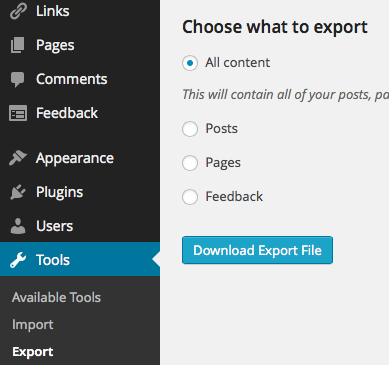 You just need to click on the Export button on the plugin page to download the export file to your PC. 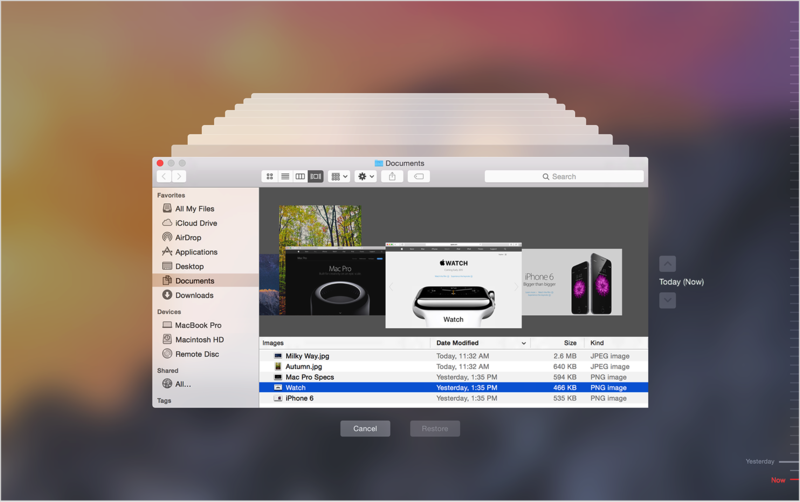 you can use the previously exported file to recreate your blog here.